For large portions of authentic Punjabi cuisine, head to The Punjabi Rasoi in Indiranagar. 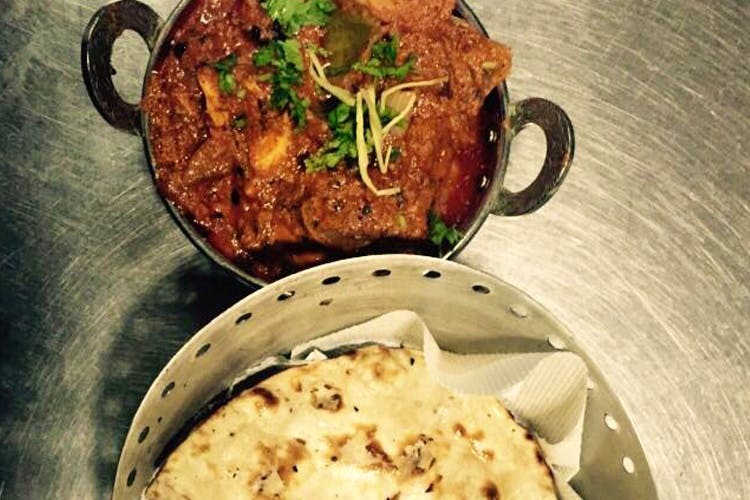 From lassis to butter chicken, you’re going to leave with a satisfied tummy. North Indian, especially Punjabi khaana, isn’t just a cuisine, it is an state of mind. Authentic, cheap Punjabi food is a common favourite for a meal out, and The Punjabi Rasoi offers you just that. Started in 1999, they’ve been serving food that’ll satisfy your desi appetite for about 18 years now, and they get it just right! They have branches in Sarjapur, HSR, RT Nagar and Indiranagar, so hit up your closest branch for some makhan filled naans and butter chicken. The portions are large, the food is reasonably cheap and the place is big enough to accommodate you and crew, so go ahead and treat them here for the next celebration. We would definitely visit again for our fix of rich-in-taste-and-calories Punjabi food. We started our meal with the tomato soup which had the right proportions of tangy and creamy. For starters, we tried the mushroom tikka for the vegetarians and the Afghani Chicken which had succulent pieces of meat marinated in yogurt and spices before being cooked in tandoor – definitely a must have. For mains, we had Dal Makhani, Bhindi Masala and Butter Chicken, all of which were absolutely authentic (according to our resident pal from Chandigarh) and went perfectly with the butter garlic naans. The Dal Makhani was rich and creamy, so don’t pile on to start with. The bhindi masala was one of our favourites but not recommended if you’re a health freak as it comes with loads of oil and ghee. More for us, please! The butter chicken, and if you’re originally from the North, this will make you homesick. We washed it all down with some thick sweet lassis, and our tummies were nice and full. Maybe a bit too full! And which is why we skipped dessert, and HAVE to go back for hot gulaab jamuns, soon.